Help complete this gallery. Send us your information and photos - Click here. There are twelve names of Veterans who were K.I.A. during WW2, whose names are inscribed on the cenotaph tablets. Profiles have been researched on all of them, except for John O'Brien's. There are several more Veterans killed during WW2 whose names are not included. These men may have been born in Marmora, but decided to have their names inscribed on a monument/marker elsewhere. Lt. Hilda (Ellenore) Green/Barker and Serg. James Royal Barker. Although they were dating before the war they decided to wait until after the war to get married. Because they were both Canadians James had to go to Westminster to get permission to be married in England. Grant Gifford - WW2 with his father Bunny (Warner) Gifford - WW1. Major Percy Gray (Sr) #5938 born in 1895, in Marmora, the son of William Robert Gray and Margaret Revoy. He served in C.E.F., 21st Canadian Battalion during WW1. Following the war, he joined the peacetime militia and rose to the rank of Captain. 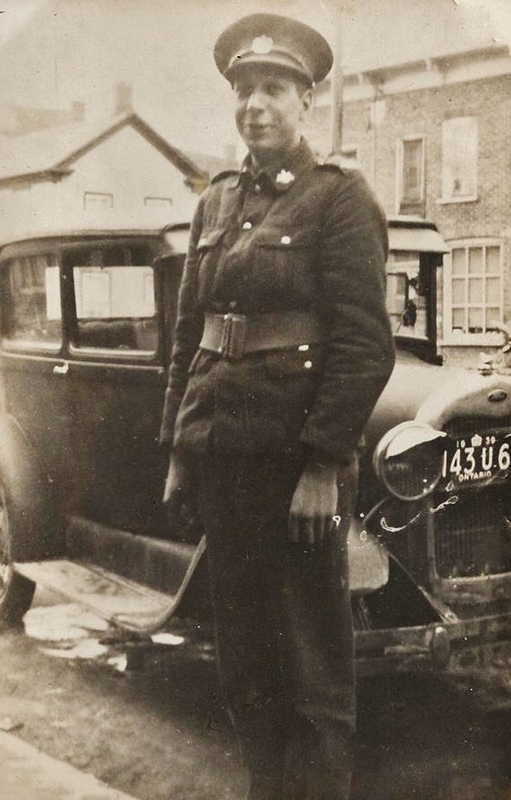 In 1939, Percy enlisted in the Hastings and Prince Edward Regiment and was subsequently transferred to be in charge of the Ottawa Provost Corps Detachment. In 1917, while in London, England, he married Elsie Amelia Rundle, the daughter of Albert Rundle and Jennifer Hampton. Elsie died on Feb. 26, 1960 and Percy died on Jan. 25, 1956. Both are buried at the Marmora Protestant Cemetery (Common Cemetery), Section M.
Private William Henry Hipsonemigrated from England at the age of 5, with his sister, Doris, andhis parents, Norman and Esther Hipson. They lived in Toronto for a brief time and then moved to Marmora c.1929 where their father, Norman, found employment at the Deloro mine. William Henry, too, was also employed there before he enlisted in the army. After the war he moved to Toronto and worked for Coro Jewellers. (1923-1971) Heenlisted in the Signal Corps on August 10, 1942, shortly before his 19th birthday and shortly afterwards transferred to the R.C.A.M.C. (Royal Canadian Air Medical Corp). 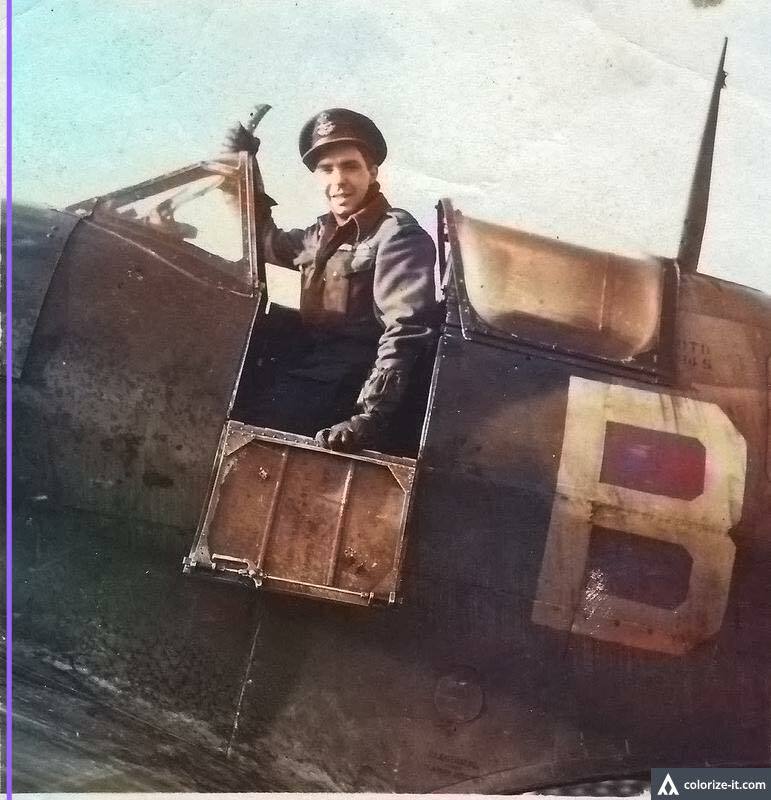 He arrived in England on June 24th, 1943 and was sent to France onD-Day. The 23rd Field Ambulance was attached to the 3rd Canadian Infantry Division and with them he travelled through France, Belgium, Holland and Germany. He spenta quiet V-E Day in Aurich Germany. The reception was quite different when they arrived in Holland. He departed from Greenock Scotland on the Ile de France on July 7, 1945, along with 10,000 other troops. Following a 30 day leave he was to report to the Horse Palace on Toronto Exhibition Grounds and later to proceed to Kentucky for special training for the Pacific theatre of war, for which he volunteered. To see the Gallery of Men and Women who supported the War efforts. Click here. William Jarvis Richardson " Bill" served from 1939 to 1945 and was wounded in Italy. He saw action in Sicily, Italy , France Belgium, the Netherlands and Germany. He is the son of John Richardson . Their farm was located on the corner of Deloro Road and highway 7. Their house still stands today of course. Bill served in the Royal Canadian Regiment and enlisted in Peterborough at Morrow Park. Pte. Alfred (Pat) Willman - Hastings Prince Edward Regiment, spent much of his time in Italy & Sicily in WW2. He was at the Battle of Ortona & Monte Casino.